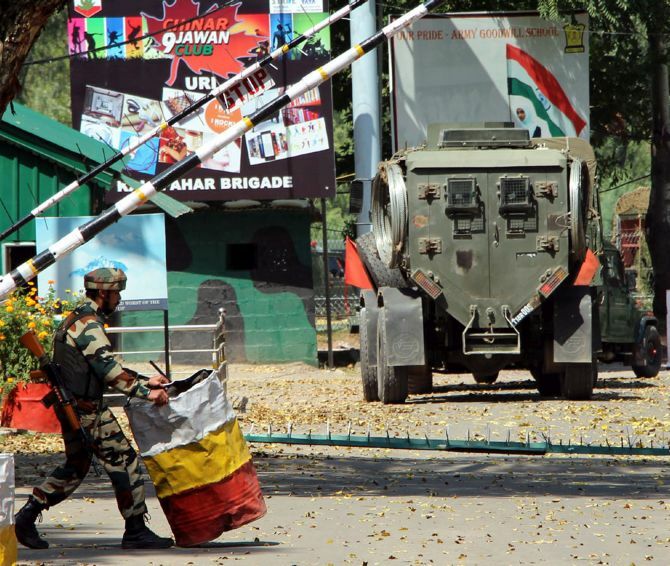 Images from the deadly terror attack in Uri and its aftermath. 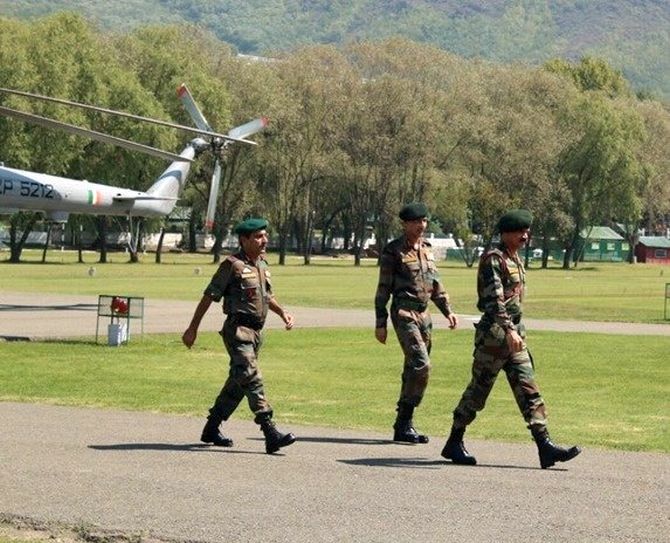 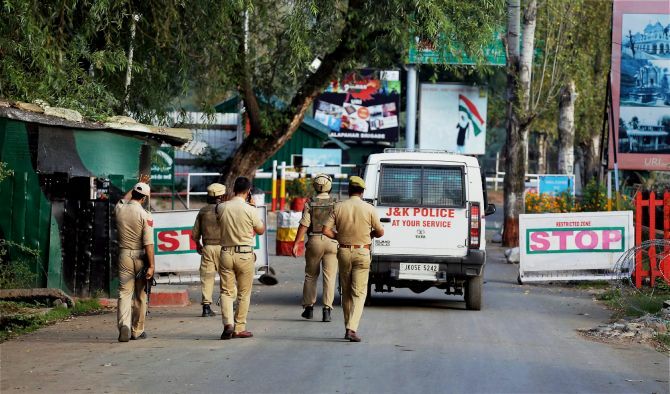 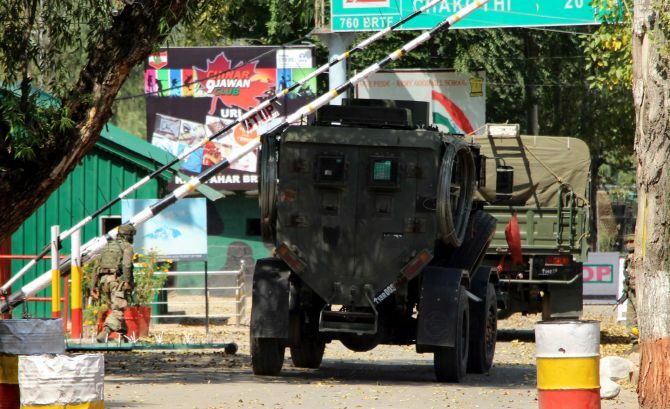 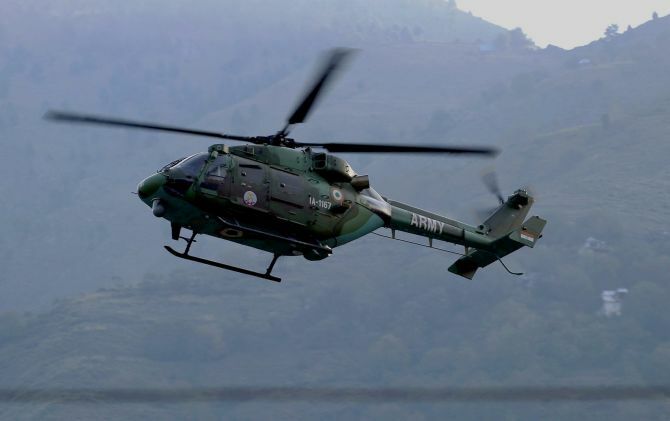 In the deadliest attacks on the Indian Army in recent years, 17 soldiers were killed and 19 others injured at an army administrative base in Jammu and Kashmir's Uri sector near the Line of Control on Sunday, September 18, morning. 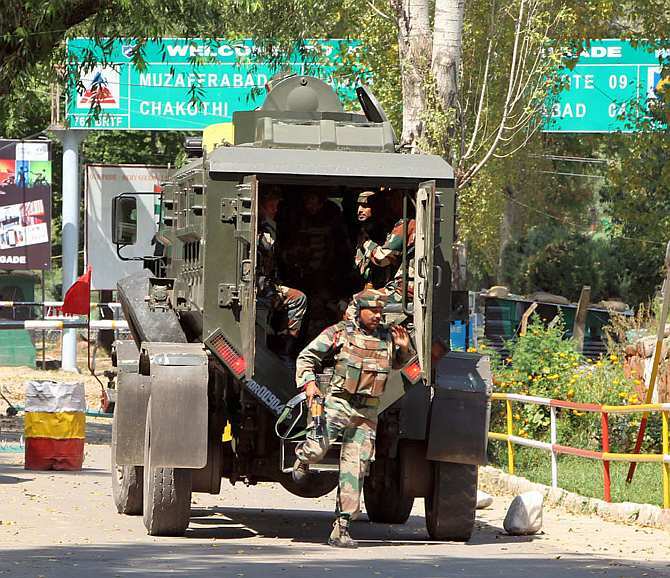 Four terrorists were killed in the attack. 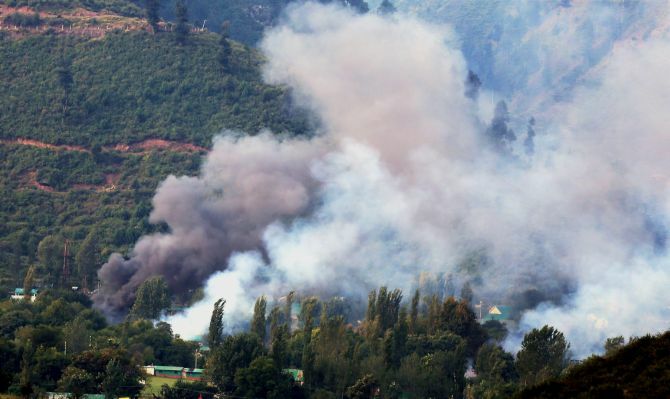 This is the worst terrorist attack against the Indian Army in Jammu and Kashmir since the Kaluchak attack in 2002. 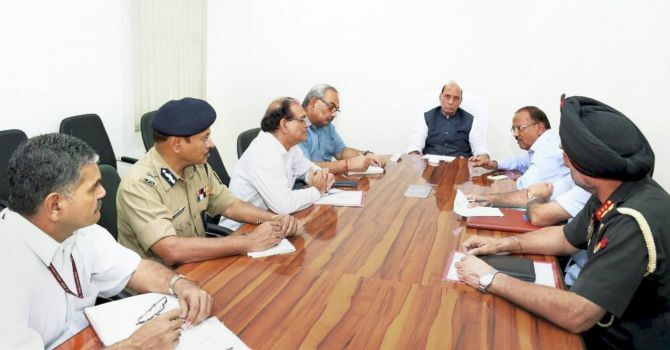 IMAGE:Home Minister Rajnath Singh met National Security Advisor Ajit Doval, the chiefs of the Intelligence Bureau and Research and Analysis Wing, India's domestic and external intelligence agencies, Home Secretary Rajeev Mehrishi, senior army and paramilitary officers and home and defence ministries officials.